Lately the news has been buzzing with the health benefits of dark chocolate. When I was growing up, chocolate candy bars found at the grocery store or the five and dime were an indulgent treat, not a good healthy choice for a snack. So what has changed? Is healthy dark chocolate made differently today? Yes, You can still find candy confectionary chocolate at the grocery store. You can also find Healthy Chocolate. It’s even for sale here in Florida at the Punta Gorda farmers market and online. So what is so Healthy about Dark Chocolate? Well Beyond owns the rights to “Healthy Chocolate”. The chocolate they make is a healthy dark chocolate like no other. It is rich in antioxidants and cocoa flavonoids. One 6 gram piece equals over a pound of raw spinach in antixoidants. That is a big deal since antioxidants lower inflammation and lowering inflammation is thought to prevent chronic disease. 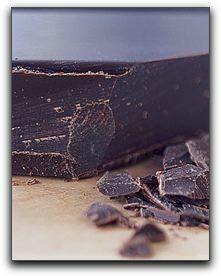 This Beyond dark chocolate is also gluten free, keto friendly, vegetarian, diabetic friendly and low calories. Each piece is just 1 gram sugar, 1 net carb and 35 calories. 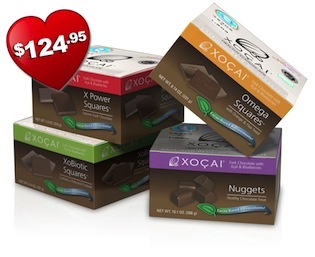 Readers of HealthChocoholic.com are able to receive a FREE SAMPLE of this Healthy Chocolate for a limited time. All you have to do is pay shipping. Sample it today and see if you should Change Your Chocolate.